In this video you’re going to learn 5 powerful tips to create a CV that resonates with your audience and in turn skyrockets the number of interviews you get. In fact…the B2B marketers I’ve worked with on these tips have gone on to win jobs with some of the biggest technology businesses and the most exciting Tech Startups in the UK. And the best part….you don’t need to pay for an expensive CV writer to get the benefit from these actionable CV tips. Hi, I’m Matt Dodgson and I’m a Co-Founder of Market Recruitment. And if you’re here for the first time I’d recommend hitting the Subscribe button followed by the bell so you’re notified when our next video lands. I’ll be honest with you. 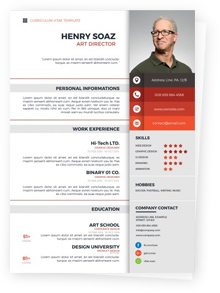 Creating a great CV isn’t the easiest thing to do. For starters…there’s so much conflicting advice out there. And tell me who feels like writing a new CV after a hard days work anyway? Exactly! Plus when you speak to CV writers, they can charge you an arm and a leg. Yet having a great CV can mean the difference between being called for interview or not. You may be the best candidate for a job but if your CV doesn’t tick all the boxes then you can kiss goodbye to your dream marketing job. So why should you listen to these tips? Well…..over the last 20 years I’ve spoken to countless HR Directors and Marketing Leaders about what they want to see on a CV. And they’ve also told me what is an absolute no-no. So in this video I’ve distilled everything into 5 actionable tips for you. So…let’s get started. Starting with Tip number 1. If you’re in marketing you’ll know about features and benefits. And also the importance of focusing on the benefits of a product or solution in your marketing. And if you think about it….a CV is a product brochure. It just happens that you’re the product. So in your CV…rather than talking about your features, which is what you’ve done, talk about the benefits of having you as an employee. I’m passionate about helping B2B Technology businesses generate more leads and grow through content marketing. My particular expertise is in creating engaging content that’s optimised for search. This, combined with my ability to work well with sales teams, means I’m able to positively influence a business’ revenue. It’s nothing about you. It’s not I’m passionate, committed, enthusiastic, because that’s subjective. It’s also nothing about what you want. Because companies quite frankly don’t care at this stage. Your summary should simply be about the benefit that hiring you will bring. OK, let’s get onto Tip 2 which is. I think we both understand this, but in today’s job market you need to bring something with you to the party. For instance, if you’re a B2B marketer you’re not going to get a job as an Architect. Over and above all your great personal attributes, you need to have a good understanding of a company’s market, the tasks they’re asking for someone to do, or a track record in helping a company achieve similar goals. Yet in a CV we sometimes don’t go far enough to show this. So what do I mean. Well here’s an example of what not to do. If you were to pick this CV up… you wouldn’t know what this person markets, who they market to, nor the purpose of the marketing they were doing. Now I’m sure we could guess and go online and start looking for this company but what we should be doing as a CV writer, is making this person’s job as easy as possible, by spelling it out to them. So here’s an example of what to do. As you can see here, it says exactly what I’ve been marketing and who to. It clearly shows the purpose of my role, and beneath I also categorise my experience in keywords so it stands out. The benefit here is that someone reading this will be under no illusion what I can do. And because very few people do this, when you’re applying to work at an amazing company who are looking for a similar skill set, your experience will stand out. Right then, now for Tip 3, which is how to structure your CV. If you’re like most people when they decide to start looking for a new job, then one of the first things you’ll do is dust off the old CV…..or at least try and find it in the first place. Once you’ve got it you’ll create some room at the top and then stick in your latest role. Job done…right? Well not so quickly. The problem with this, is that as you get a bit more experienced, your CV becomes sooo long. So, all I suggest is what I call the reverse xmas tree effect. And what you want to do is make sure your last role takes up the biggest chunk of space, your previous roles slightly less and so on. You may even start to delete things entirely off the bottom of your CV after a while. So why do this? Well…..it’s partly to do with a CV being too long….but mostly because you’re more likely to get your next job based on what you’ve been doing most recently. So use the most amount of space on your CV to describe it. And if you’re a serious B2B marketer then I know you know the importance of it. And our clients certainly do, because when they’re hiring for a marketing role a lot of them won’t even bring you in for an interview unless you’ve got some ROI figures on your CV. So, this one’s pretty obvious really. Get some ROI on your CV. And ideally something to do with revenue, pipeline, MQL’s, rather than increasing the number of LinkedIn followers. In B2B it’s all about the revenue. By doing that, you’re going to show you’re a modern B2B marketer. And finally Tip 5, It’s all about the Keywords. In most cases, the person who is first looking at your CV might not be a marketer. They could be a recruiter, someone in HR or an administrator….and all they’re looking for are the right words on your CV. So the theory here is no different to the mechanics of SEO or a Pay per click campaign. You want to make sure that you’ve got the right sort of keywords in your CV. And that could be broad terms like demand generation or content marketing, but more so these days it can also mean the tools you’ve worked on. Whether it be Marketo, Lead forensics, Drupel, Salesforce – knowledge of certain tools is also very important. So all you need to do here is use the same language in the job description in your CV. You’re basically reverse engineering a PPC campaign for your CV instead. In the job advert you’re applying to…..you have the keywords, so just slot them into your CV. So to summarise, having a great CV is SO important….so take some time to work through these tips. If you do…..I’m confident you’ll see a big increase in the number of interviews for B2B marketing jobs you’re been called in for. And finally…..if you like this video, hen please subscribe to this channel and hit the bell so you get notified when our next video lands.